Roxtec cable and pipe seals protect against water, vermin, EMI, EMP and lightning strikes that may cause failures. Operators benefit from continuous operation, designers save oceans of time and installers can experience easy handling and the ability to provide certified safety. Roxtec area efficient seals are ideal for entries to transformer cabinets, enclosures, junction boxes and other cabinet applications with high cable density. 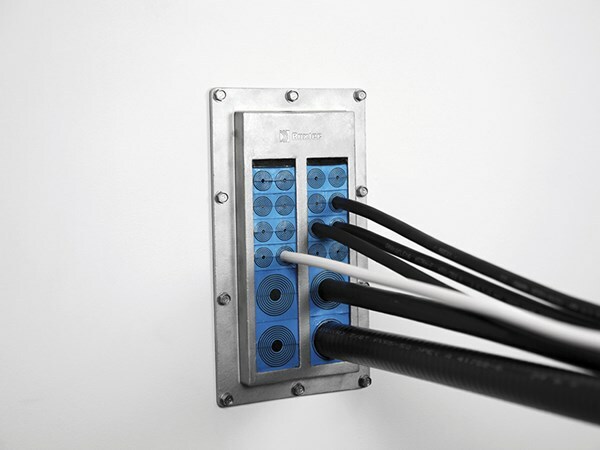 Protect you equipment with our smart cable entries that are openable to simplify maintenance and sudden changes. All in one tailor-made solution.